This new and advanced mobile Application allows you to view, sort, Inquire and manage one of the world's top diamonds wholesalers of Fancy or White Loose Diamonds inventory and find the perfect Diamond you need, wherever you are. 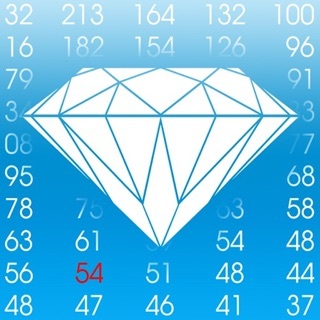 This improved app also enables you to see V360 diamond photography and certificates of all the MID's Vast Diamond inventory. •Polished diamonds in shapes and sizes, from 10 points (0.01 carats) to extremely large sizes of 10.00 carats and more. •Certified diamonds, with grading reports from GIA, EGL, AGS, HRD and IGI. •Bespoke, one of a kind of jewelry items, set both with white and fancy colored diamonds. and Tokyo, providing services in a range of languages. •Toll-free numbers, enabling clients to contact company representatives around the clock. •Online chat services, enabling contact with sales staff wherever Internet access is available. •Overnight shipping services, getting merchandise from a MID House of Diamonds office to the client within hours. •Specialized services tailored for watch and jewelry manufacturers and traders. •An online search tool, enabling clients to explore MID House of Diamonds’ massive inventory in real time. own, at the markups they select.